Fairfax County Government offices are open on Wednesday, Jan. 30, however employees have been granted unscheduled leave. Employees are reminded that they should notify their supervisor if they elect to use unscheduled leave. Emergency service personnel should report as scheduled. The Fairfax County Circuit Court, General District Court and Juvenile and Domestic Relations District Court are open on Wednesday, Jan. 30. To accommodate passengers who are reporting to work later than usual this morning due to inclement weather, Fairfax Connector will operate extra service on severeal routes today, Wednesday, Jan. 30. Passengers should also expect possible delays due to road conditions. Fairfax County Public Schools are closed Wednesday, Jan. 30. School Age Child Care (SACC) centers are closed. If you have questions about Park Authority facilities, contact the site directly, call the Parks inclement weather line at 703-324-8661, TTY 711, or visit fairfaxcounty.gov/parks. For Department of Neighborhood and Community Services programs and events visit fairfaxcounty.gov/neighborhood-community-services or call 703-324-4600, TTY 711. The Reston Community Center and the McLean Community Center may be affected by the inclement weather. Call RCC at 703-476-4500, TTY 711, restoncommunitycenter.com or MCC at 703-790-0123, TTY 711, www.mcleancenter.org for their current operating status. Fairfax Connector bus service may be affected by the inclement weather. Check the Connector Web page at fairfaxcounty.gov/connector for the current operating status. For information about FASTRAN, call 703-222-9764, TTY 711, or online at fairfaxcounty.gov/neighborhood-community-services/transportation/fastran. Library hours may be affected; call your local branch before visiting. For branch phone numbers, call 703-324-3100 or go to fairfaxcounty.gov/library. View the public meetings calendar at www.fairfaxcounty.gov/Calendar for any potential cancellations of public meetings of Fairfax County Government Boards, Authorities or Commissions. 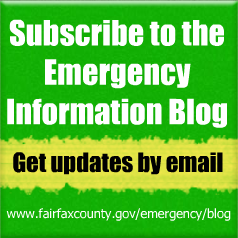 Emergency information is available on Fairfax County’s website and the Emergency Information Blog, Facebook, Twitter, Fairfax Alerts or by calling the Fairfax County Emergency Information Hotline at 703-817-7771, TTY 711. 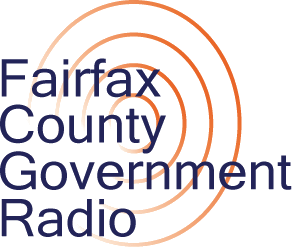 Fairfax County Government Radio will also announce county government closings. Fairfax County Snow Guide can be found online at www.fairfaxcounty.gov/snow. Official emergency information about preparedness, response and recovery from Fairfax County Government. To report an emergency, call (preferred) or text 9-1-1 (voice and TTY). For non-emergencies, call 703-691-2131, TTY 703-877-3715. Heavy Rainfall Possible Today Into Tonight! Remember To Turn Around And Don’t Drown! Comments: We welcome your comments, questions and feedback on on our blog, but we have a few rules you should be familiar with.